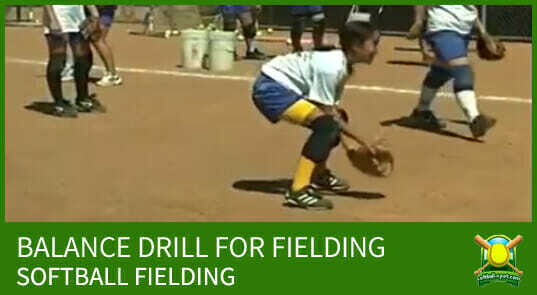 Works on fielding and fielding mechanics. You can put players at their regular positions or you can use two lines. One line would be for corner fielders and pitchers, the other line for the middle fielders. Drill uses a smaller 11-inch softball. Players wear a smaller training glove (10-1/4 to 10-3/4 inches). Player gets ready to field the ball with her backhand. 1. 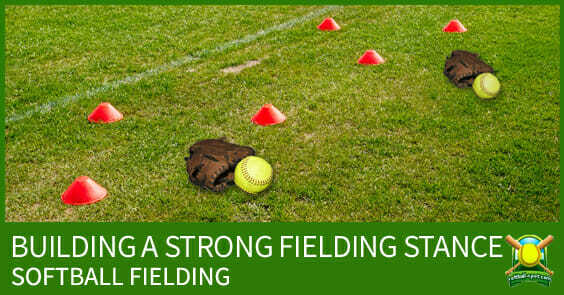 Coach hits ground ball to player who fields the ball. 3. 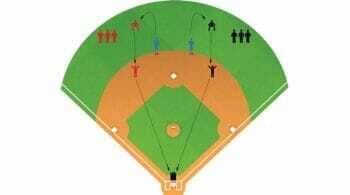 All are hit by the coach except for the over the shoulder and line drive, which are thrown by the coach. 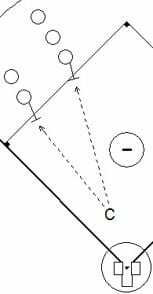 Ground ball series with two lines. 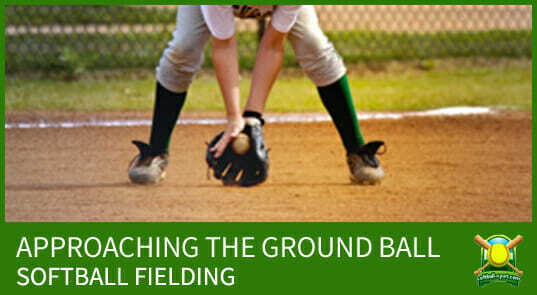 Watch for proper fielding form with head down, knees bent, back flat, and bottom low. Players only work on fielding the ball. They don’t throw the 11-inch softball since it’s not used in games.